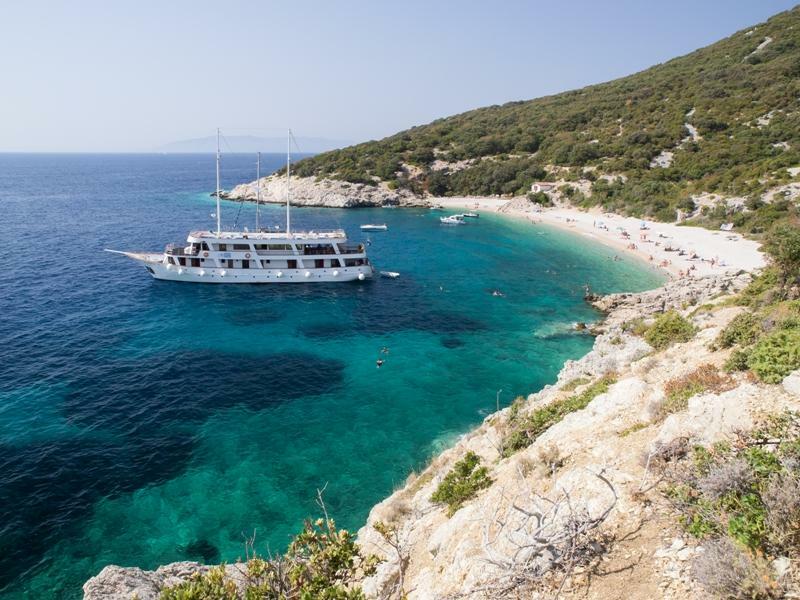 Enjoy the beautiful landscapes of Krk, Rab and Cres islands on the bike and lying on the sun chair on the deck of the ship. 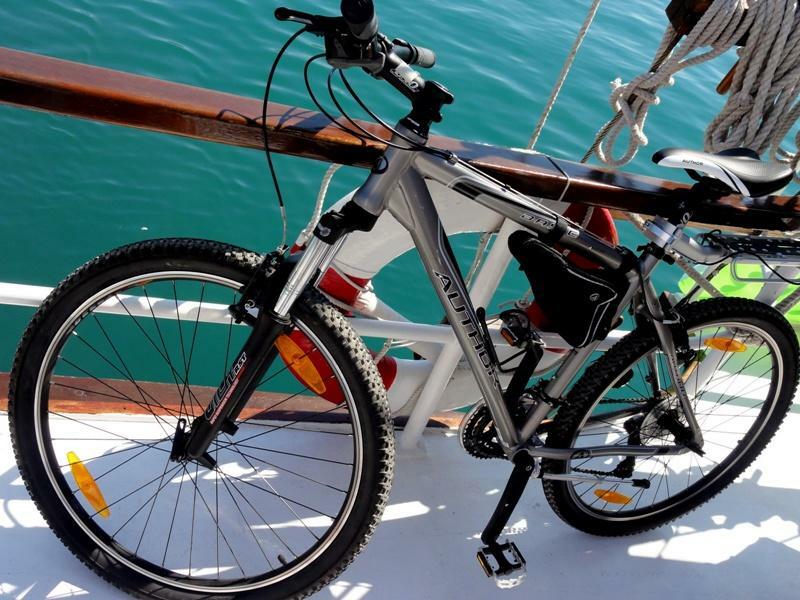 We go on land with the bikes on different harbors and towns and while we cycle enjoying wonderful views the ship sails to the next harbor. After the cycling we go on pleasant walks in the towns and visit restaurants with local traditional Mediterranean cuisine. You can skip the cycling and choose to explore the variety and natural world of the islands at your pace. Arrival in Opatija and check-in on the ship after 11:00 h. Lunch before the departure at 13:00 h. Two-hour journey to the island of Krk is the best time to meet your fellow passengers and the crew. 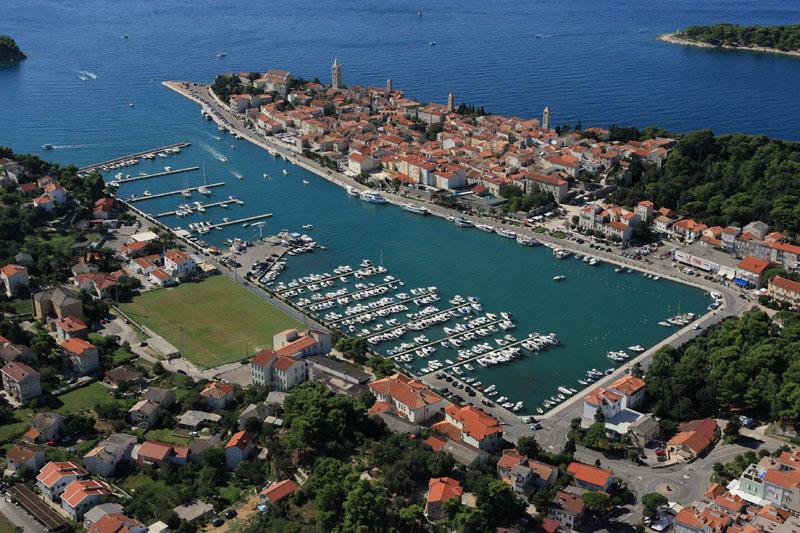 Krk is the largest of the Kvarner islands where we will have an easy start ride from the former fisherman village Malinska to the town of Krk. The most of the track is a newly paved bike path made between Malinska and Krk. Overnight on board. Today you will bike surrounded by Mediterranean scented vegetation, through fields of chestnuts and fig trees to the village of Dobrinj. After Dobrinj you will pass through the valley of vineyards and reach the north east part of the island and unique town of Vrbnik. Town of Vrbnik knows also as a museum town is built on 50 meters high rock and is home to the golden Zlahtina wines. After strolling through some of the narrowest streets in the world and sipping some wine, we go back to the town of Krk, where we spend the night and have our dinner. 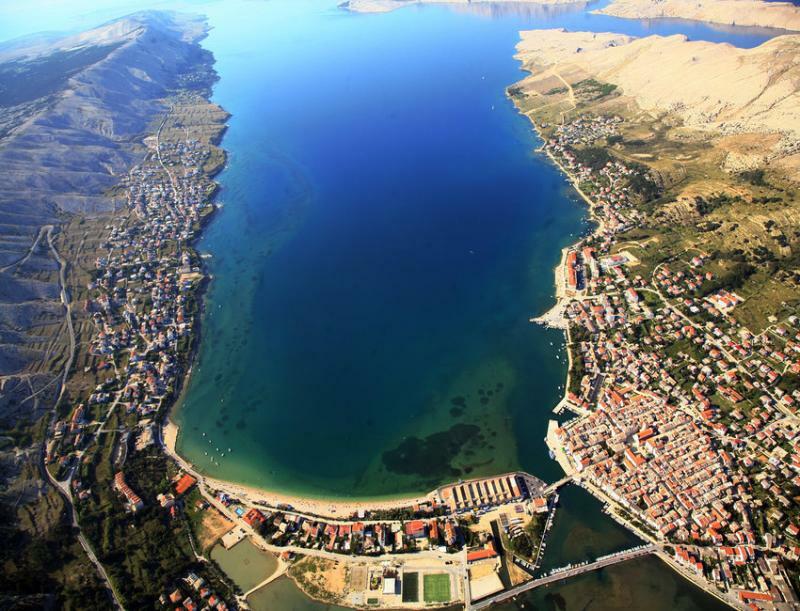 Another option will be overnight in the town of Punat. 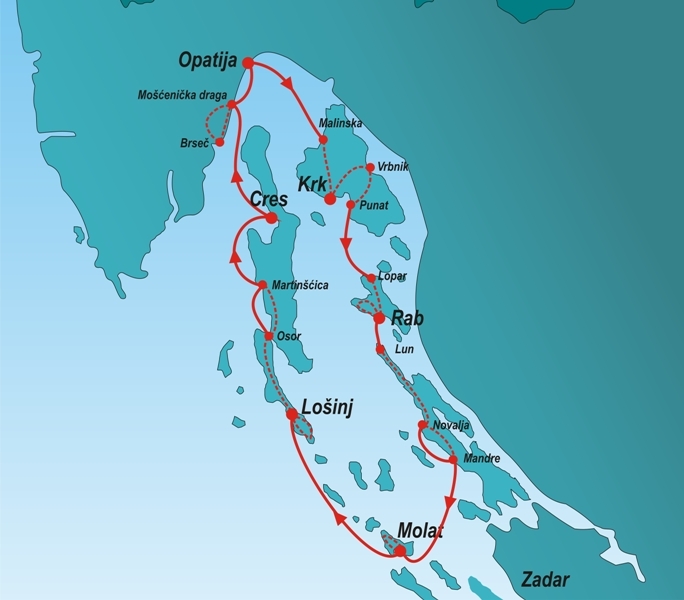 While we eat our breakfast the boat will take us to Lopar on the island of Rab. From there our biking path will lead us to a sandy beach bay which is very unusual for Kvarner islands. 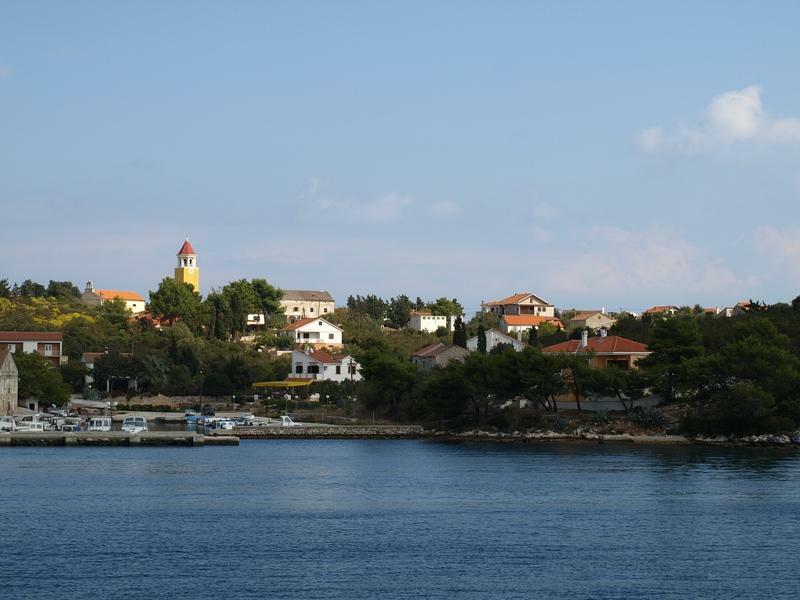 After that we cycle through the interior of the island, past the beautiful bay Supetarska Draga and direction the ancient walled city of Rab with its four famous bell towers situated on an arrow shaped spit of land. 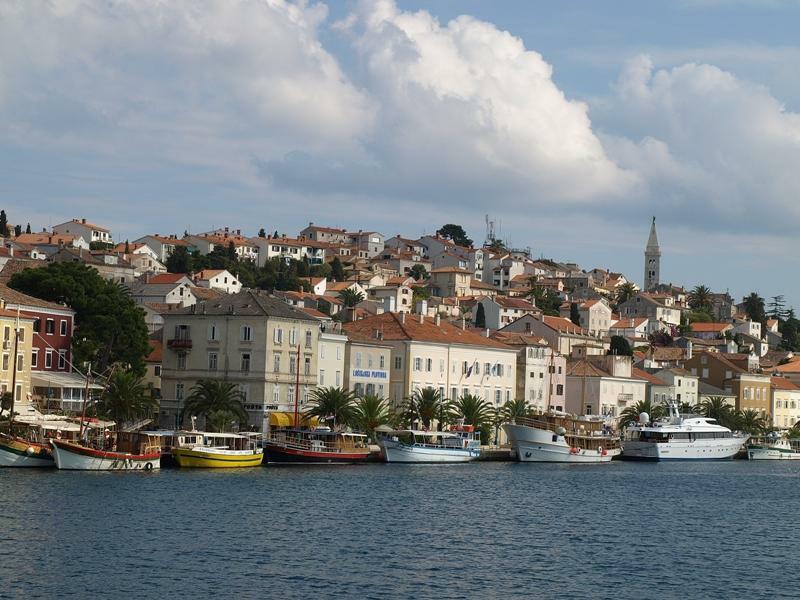 Around noon our boat will be just outside the old town of Rab in the harbour and after lunch one will have opportunity to enjoy the old town atmosphere or to cycle more to the nature reserve of 'Dundo' forest on the peninsula Kalifront and back to Rab. 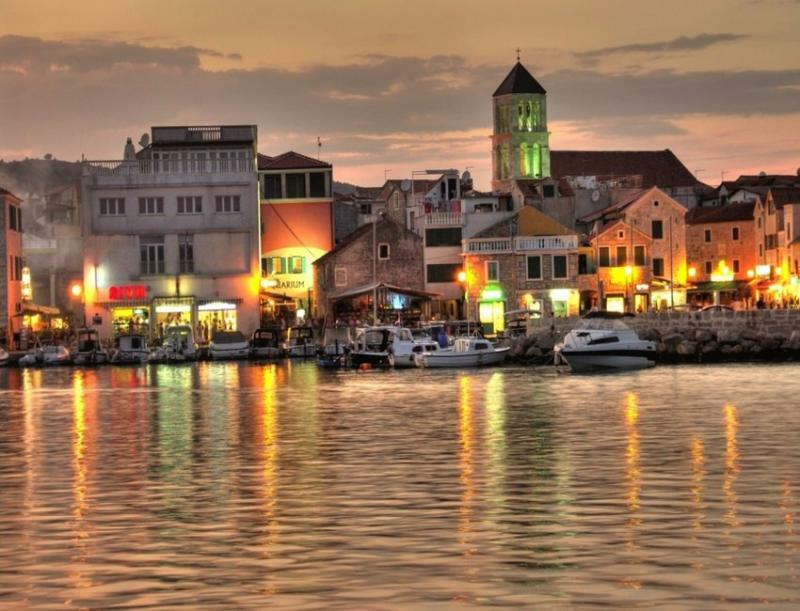 Overnight in the port of Rab. After a short crossing to the island of Pag we start a tour along the beautiful landscape of the island. 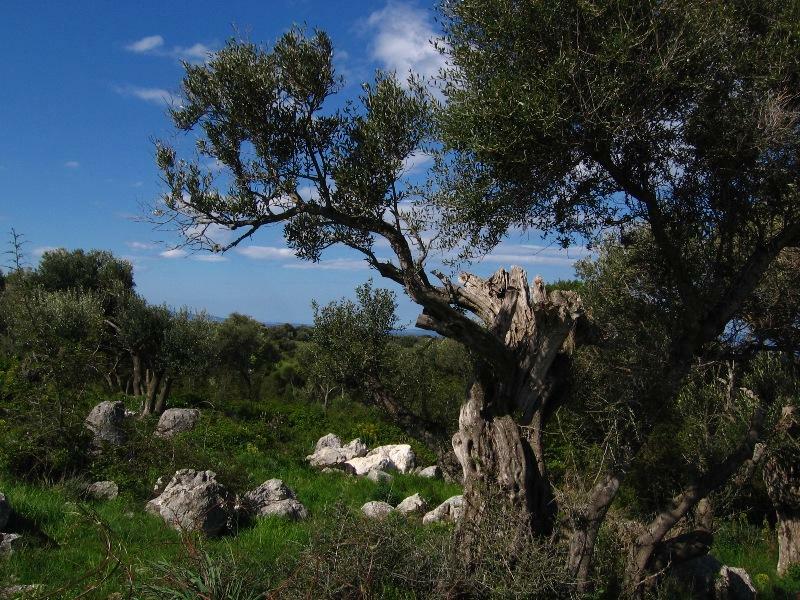 Our first stop is village of Lun with the thousand years old olive tree and the many stone walls that were built by the residents as a protection against the wind. Please, be careful when cycling on the island because there are many sheep on the road. In Novalja you have the opportunity to go back to ship, or to move on further with the group. We definitely recommend a break in a traditional tavern to taste the famous Pag cheese. In the idyllic village of Mandre we go back to ship and have lunch on board. We continue our cruise to the island Ilovik where you will have opportunity to enjoy the optional captains dinner. Overnight in Ilovik. Ilovik is the smallest island of this trip and therefore also the most romantic one. After breakfast we leave for Mali Losinj. 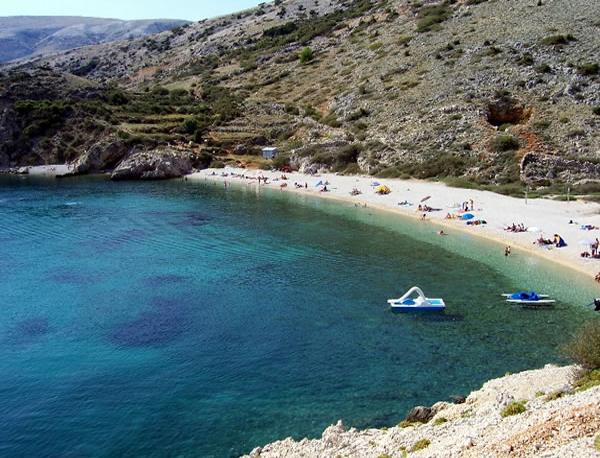 On the route you will see many wonderful bays and beaches. Lunch is on board after which we continue to the island of Lošinj to cycle to the fishermen's village of Veli Lošinj and visit one of the many bays surrounded by pine trees on Čikat peninsula. Overnight in Mali Lošinj, with numerous cafes and many colourfully painted house fronts. 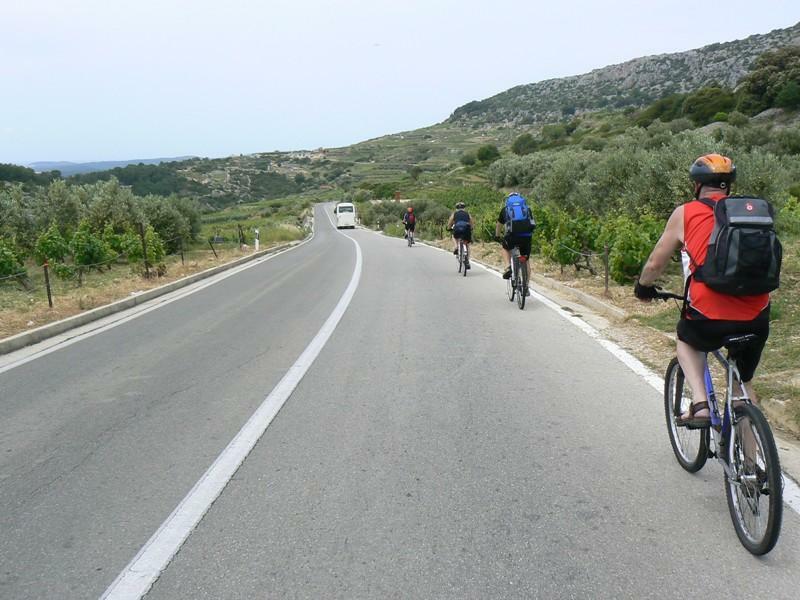 After breakfast we cycle through the pine and laurel trees on the panorama route direction island of Cres. Our first stop is the artistic village of Osor, where you have the chance to go back to your boat and have relaxing afternoon or to take another more strenuous part of the cycling towards the fishing village Martinscica, where lunch will be served on board. The ship continues to the historic town of Cres for free evening and overnight. During breakfast the ship takes us to Moscenicka Draga on the Opatija Riviera. From there we go along the coastal road with spectacular views of the sea and the islands to town of Brsec, situated above the sea on a rock. We take a coffee break here and a walk through the small village with two churches. After the break you can decide whether to take the same coastal road again biking alone back to the ship or select the more difficult version to cycle together with your guide to St. Jelena hill and further to Lovran. Lunch on the ship and continue to Opatija, where you have free evening to admire this beautiful city, walk through the parks or along the 12 km long sea promenade. Overnight in Opatija. Important to know: The length of the daily cycling routes is estimated and informative and depends of various detours or short cuts that can be done on route. All boat routes and cycle routes are weather dependent and therefore may be locally changed by decision of your captain and tour guide. At almost all days it is possible to have half day or full day cycling.